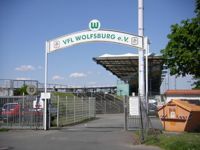 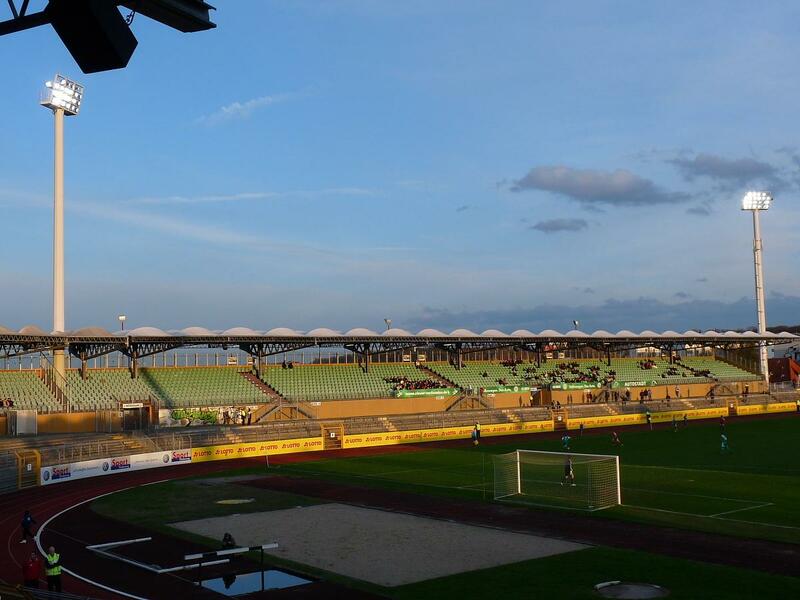 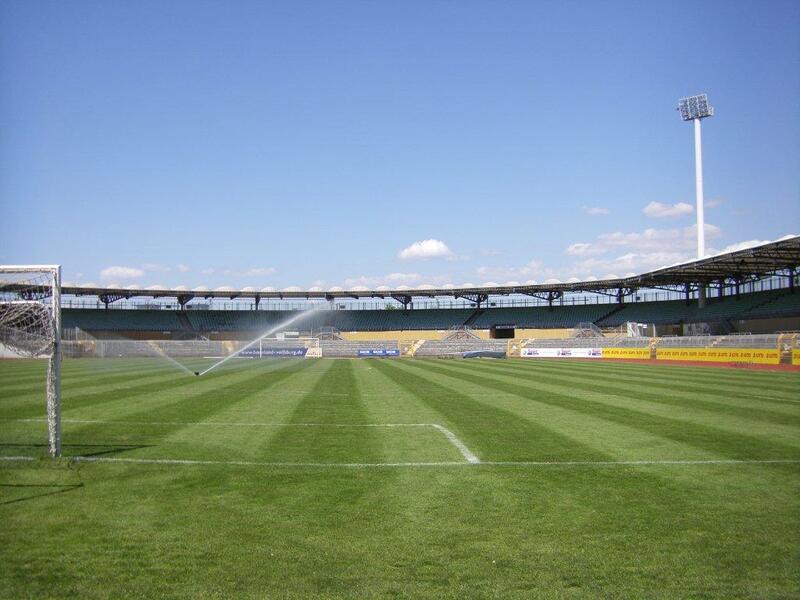 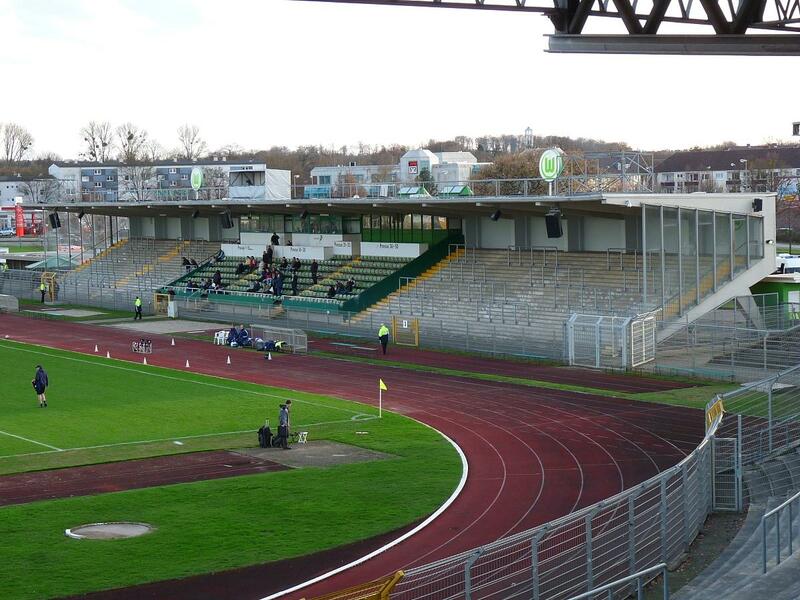 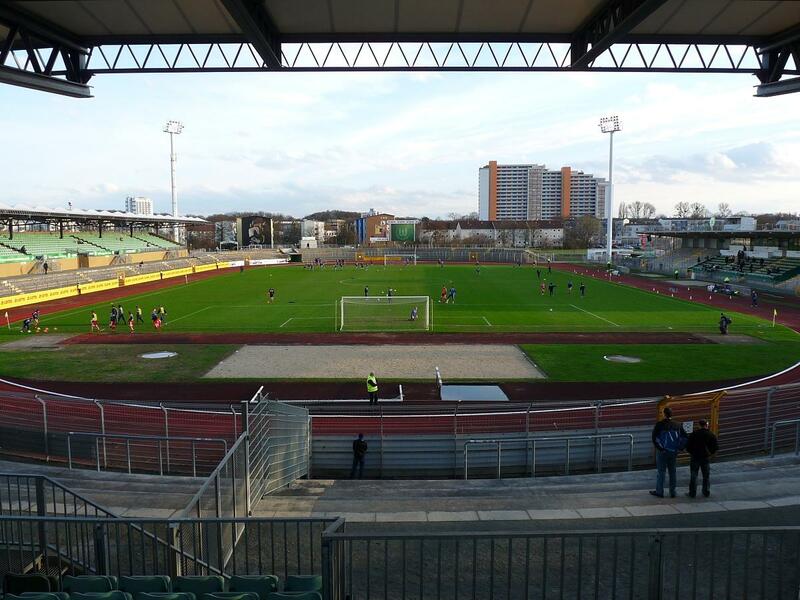 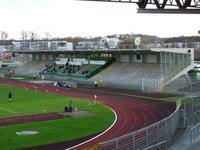 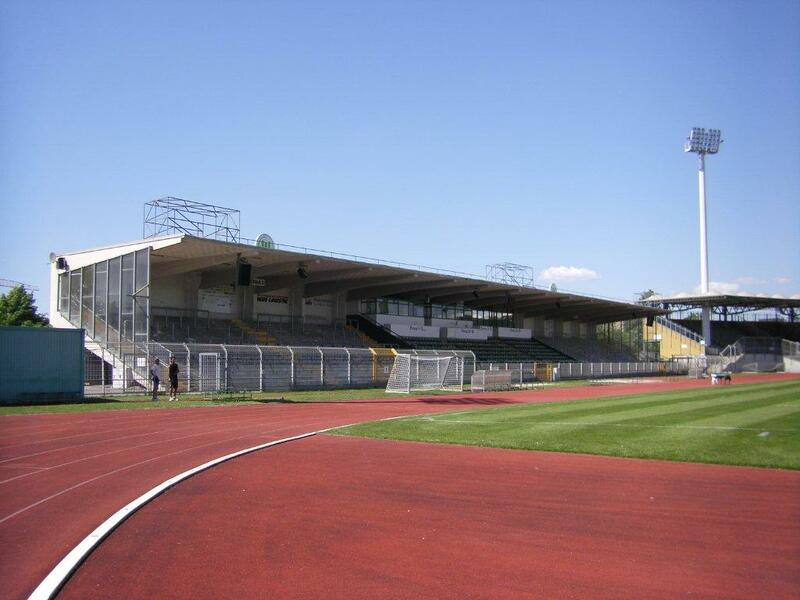 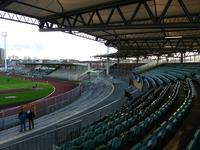 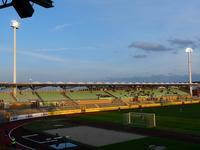 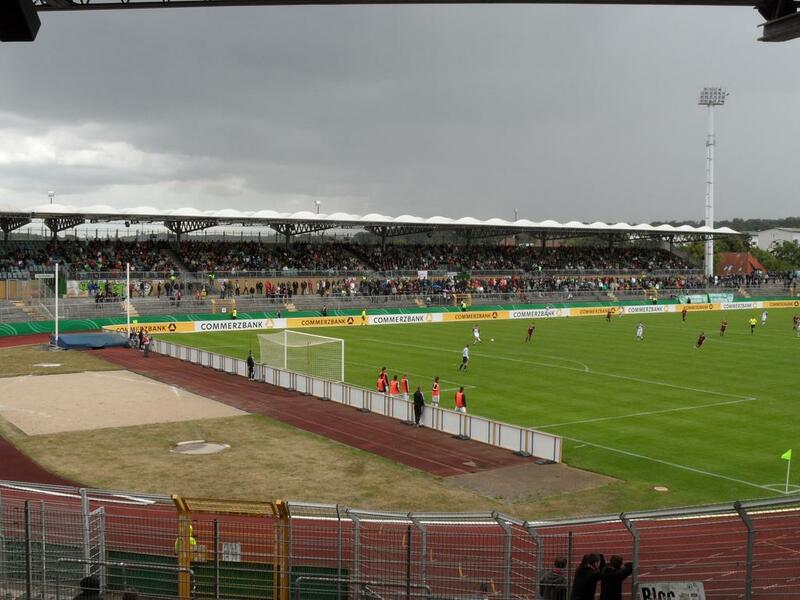 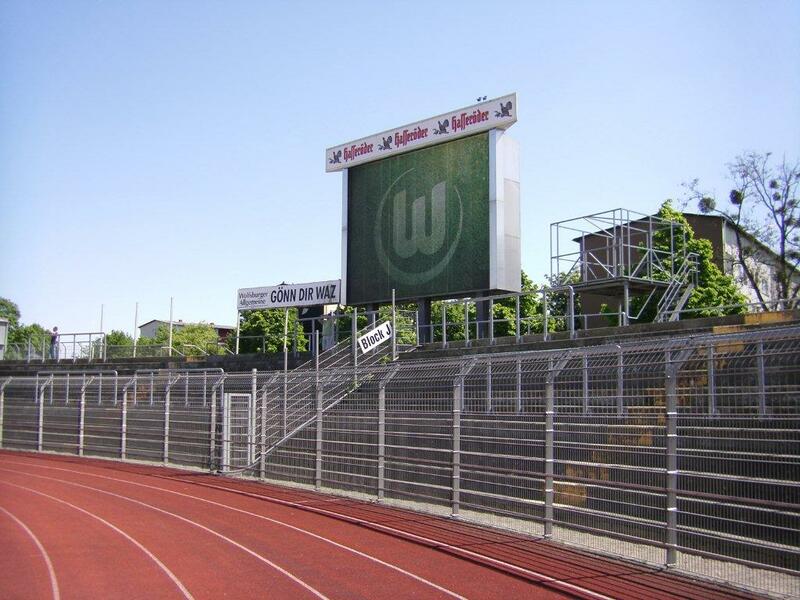 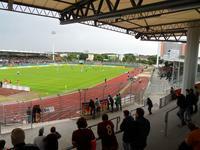 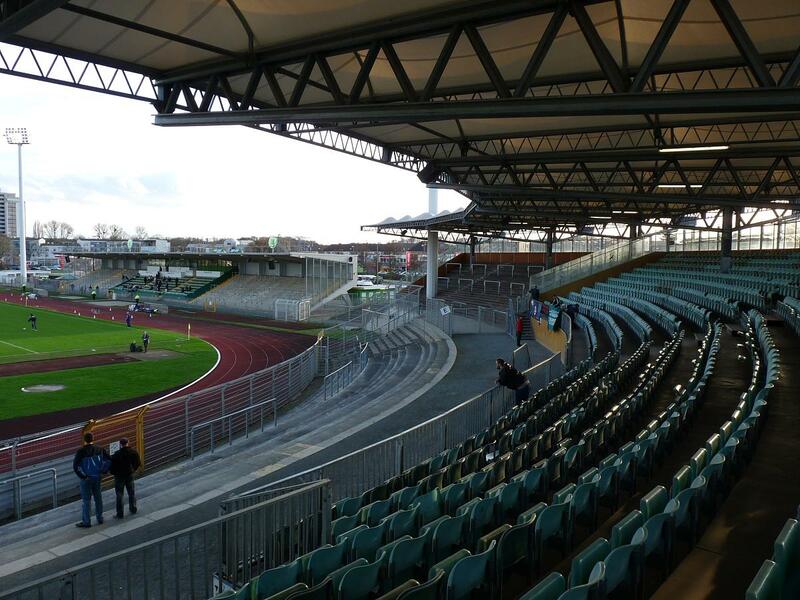 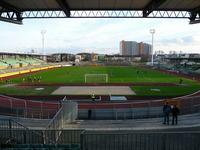 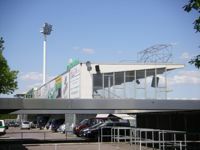 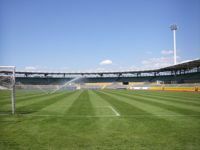 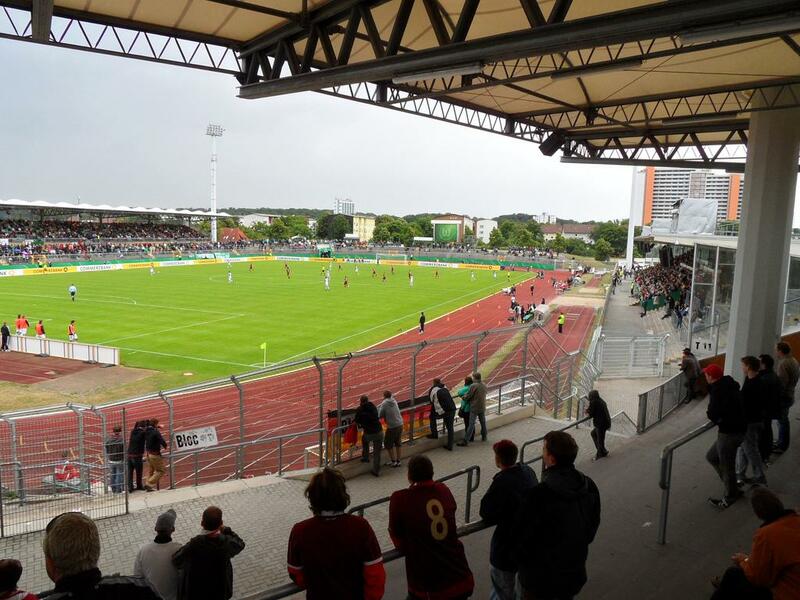 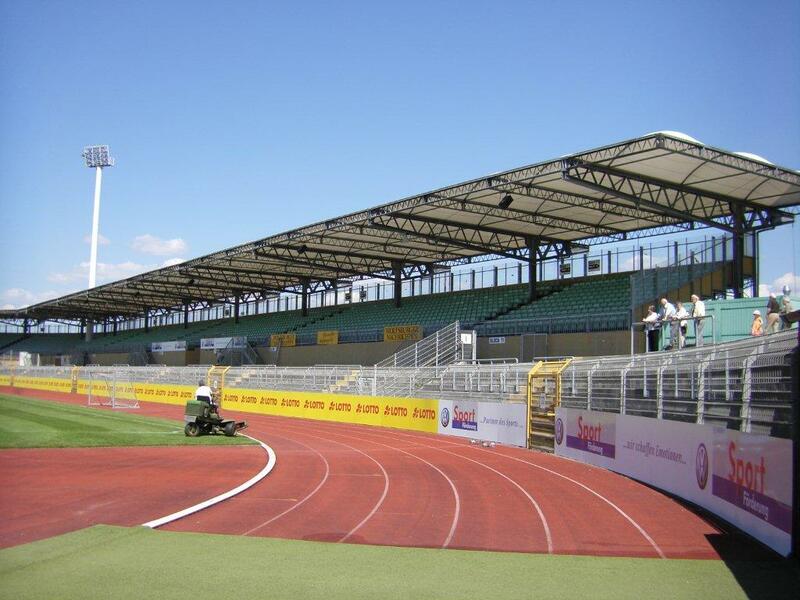 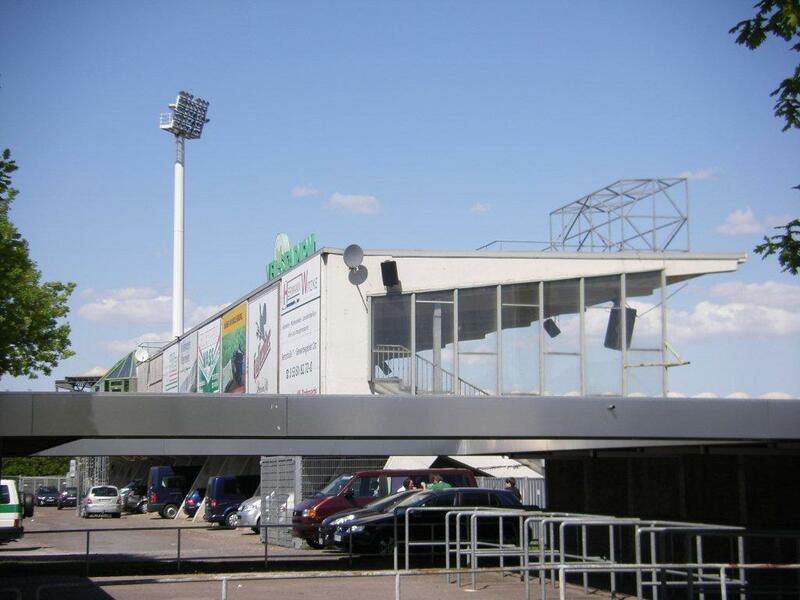 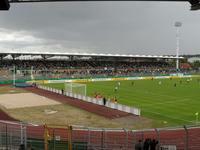 Up to 2002 the stadium housed VfL Volfsburg, while after the opening of Volkswagen Arena it became the stadium for reserve and female teams. 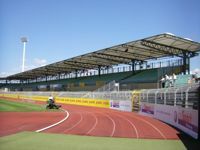 Being the largest stadium in the city with athletics track, the ground also serves other sports events. 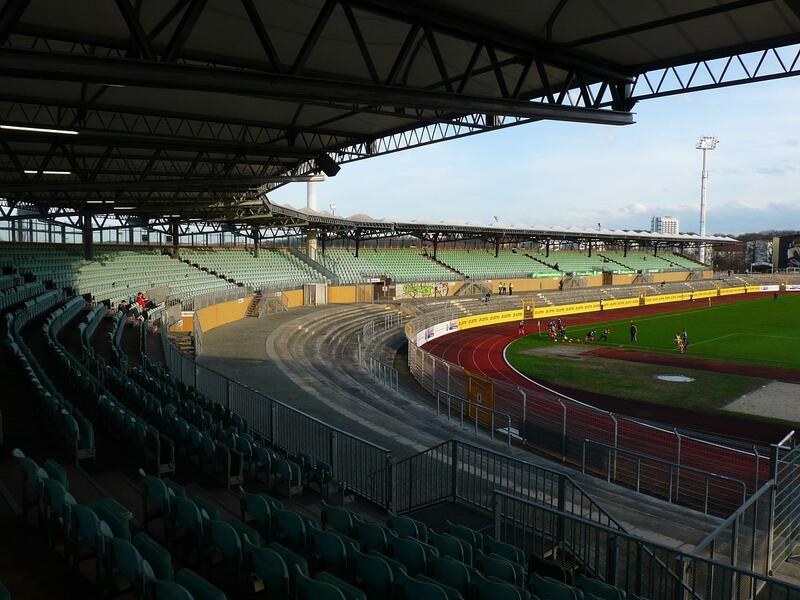 Most of the 17,600 capacity is seated and covered with terracing remaining in the lower tiers of old stands, dating back as far as 1947. 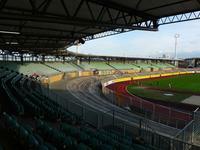 The main grandstand was added in 1967, while latest upper tiers arrived in 1997.